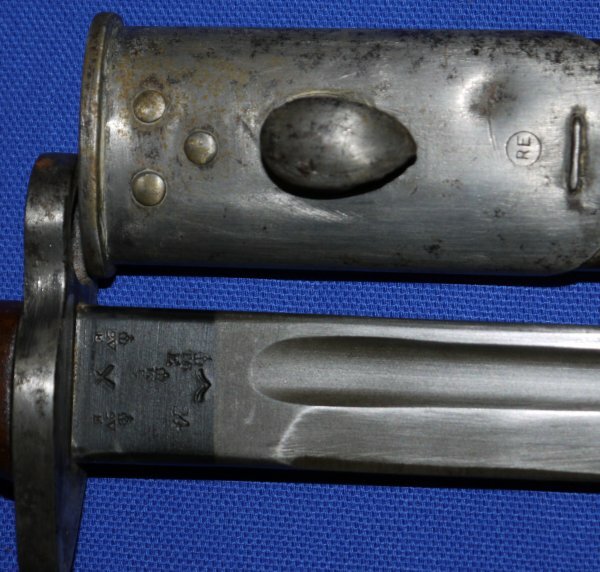 In very good condition, a British WW1 Sanderson 1907P bayonet. 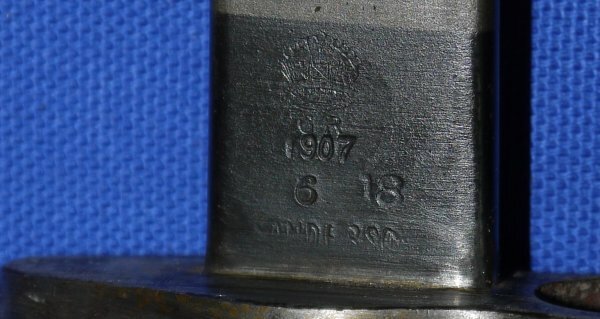 16 3/4 Inch blade in very good condition, dated "6 18" for June 1918, various markings; has the "RE" in circle mark to scabbard. All very good. Please quote item reference number L50 (P287). Further / full sized images available upon request.